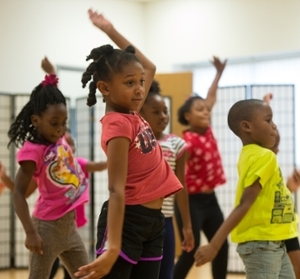 Southern Illinois University Edwardsville East St. Louis Center (ESLC) Performing Arts Summer Program will continue the legacy of legendary dancer, anthropologist and social activist. Katherine Dunham, by providing educational and cultural enrichment for the surrounding community. Classes, for youth ages 6-17, will be from 9 a.m.-4 p.m. Monday, June 27-Friday, July 29 at the East St. Louis Higher Education Campus. The cost, which includes daily lunches and field trips, is $150 per child, and $50 for each additional child from the same family. The registration deadline for the $150 cost is Monday, May 23. After May 23, the cost is $175 per child and $75 for each additional child from the same family. To register, call (618) 482-6912 or visit in person at the SIUE East St. Louis Center Director’s Office, Building A, Suite 1055, 601 James R. Thompson Blvd, East St. Louis. 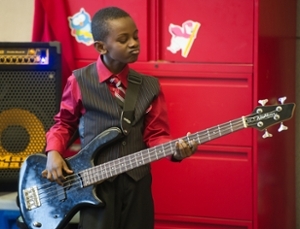 Music and dance classes include guitar, piano, Dunham Technique, African drumming, ballet, hip-hop and jazz. Instructor’s for this year’s summer program are Jack Williams and Earl Wilkes, SIUE Performing Arts staff; Gerald Williams, Venezia Manuel and Tashayla Montgomery, all SIUE Performing Arts program alumni; and Arturo Miller, SIUE East St. Louis Charter High School alum. Shown are students from previous Performing Arts summer programs.